Through October 8 – “The Hunchback of Notre Dame” at the Town Theatre. Based on the Victor Hugo novel, this heart-warming musical will capture your heart until well after the performance is over. For more information call (803) 799-2510 or visit http://towntheatre.com/the-hunchback-of-notre-dame/. Through October 8 – “The Rabbit Hole” at the Firehouse Theater in Chapin. A couple has everything they could imagine, until an earth shattering tragedy occurs that challenges their marriage and they have to find their own way to cope and salvage their marriage. For more information call (803) 240-8544 or visit http://www.chapintheatre.org/2017/rabbit-hole.html. Through October 31 – Jaycees Hall of Horrors on Walter Price Street in Cayce. This year a new attraction has been included that you won’t want to miss but you’ll need to be early as tickets are limited each night and be sure to check their calendar as their schedule varies weekly and you’ll want to be aware of the “blackout nights” when all of the lights will be out! For more information call (803) 814-5858 or visit https://www.hallofhorrors.com/. Through October 31 – Pumpkin Patch at St. John’s United Methodist Church in Batesburg-Leesville. It is that time of year again and the volunteers for this event will have a variety of activities throughout the month to honor the fall season with all proceeds to benefit local outreach ministries. For more information call (803) 532-6968. Through November 7 – “For the Record” at the Nickelodeon Theater. Presented in this showing are new and old documentaries that challenge “cinematic realism”. For more information call (803) 254-8234 or visit http://nickelodeon.org/series/for-the-record/. Through November 25 – “Snow White” at the Columbia Marionette Theater. This fun feature will show you the seven lovable Dwarfs with a tale filled with a few surprises. For more information call (803) 252-7366 or visit https://cmtpuppet.org/about-us/. October 4 – “Thundercat” at the Music Farm. This is one amazing bassist and singer you won’t want to miss! For more information visit http://www.musicfarm.com/event/1488184-thundercat-columbia/. October 4 – 5 – “Steve Wannamaker” at the Comedy House Theater. This entertainer from the city of North will provide you with an evening of fun and laughter! For more information call (803) 798-9898 or visit https://comedyhouse.us/steve-wannamaker/. October 5 – “Liquid Pleasure” at the Icehouse Amphitheater. You will certainly enjoy a fun evening of great music and dancing with this terrific band! For more information call (803) 358-7275 or visit http://www.icehouseamphitheater.com/events/. October 5 – Vista After Five: “Mark Bryan” of Hootie and the Blowfish outside at the Music Farm. This great guitarist and singer who recently won an Emmy is not to be missed! For more information visit http://www.musicfarm.com/event/1555586-vista-after-five-mark-bryan-columbia/. October 6 – “Ladies and Gentlemen, The Fabulous Stains” at the Nickelodeon Theater. When her mother dies, a teenager sets out with her sister and her cousin to create a punk-band in spite of a lack of musical talent or experience. For more information call (803) 254-8234 or visit http://nickelodeon.org/films/ladies-and-gentlemen-the-fabulous-stains/. October 6 – “Old Dominion” at the Township Auditorium. This tremendous country band will not disappoint you! For more information call (803) 576-2350 or visit http://www.thetownship.org/events/. October 6 – “Manchester Orchestra” at the Music Farm. This is one terrific band that produces songs that tell stories and take you on a journey! For more information visit http://www.musicfarm.com/event/1501799-manchester-orchestra-columbia/. October 6 – Homeschool Friday: Octoberfest – Columbia’s German History at the Robert Mills House and Gardens. Kids will learn the impact the German community had on the local area and their contribution to science and music, and will have the chance to learn how to make pretzels and how to yodel. For more information call (803) 252-1770 ext. 36 or visit http://www.historiccolumbia.org/events/homeschool-friday-oktoberfest-columbia-s-german-history. October 6 – 7 – Over the Edge to End Hunger at The Hub on Main Street in Columbia. This is a competition to raise money for Harvest Hope Food Band, in which the first 70 people to raise $500 will have the chance to repel 326 feet down The Hub in downtown. For more information call (803) 540-2011 or visit http://columbiasc.chambermaster.com/events/details/harvest-hope-s-over-the-edge-7007. October 6 – 7 – Collard & Barbeque Festival at the Civic Center in Gaston. The barbeque competition begins Friday night, and then start Saturday with a parade, live music, rides, crafters, vendors, and of course, a barbeque meal with collards and other fixins! For more information call (803) 796-7725 or visit http://gastonsc.org/home/event/35th-annual-gaston-pageant-and-gaston-collard-barbeque-festival. October 6 – 8 – “Guy Torry” at the Comedy House. Having been on numerous shows, in movies, and on stage, this amazingly funny fellow is one you won’t want to miss! For more information call (803) 798-9898 or visit https://comedyhouse.us/guy-torry/. October 6 – 12 – “Victoria and Abdul” at the Nickelodeon Theater. This is the true tale of Queen Victoria’s unexpected friendship with a clerk from India, Abdul Karim, that all close to the Queen attempt to destroy. For more information call (803) 254-8234 or visit http://nickelodeon.org/films/victoria-abdul/. October 6 – 14 – “The Twelfth Night” at the Drayton Hall Theater on the USC Campus. You won’t want to miss this fun production of one of Shakespeare’s most loved comedies. For more information visit http://artsandsciences.sc.edu/thea/OnStage. October 6 – 14 – “Building the Wall” at the Trustus Theater. This newest play by Pulitzer Prize and Tony Award winning playwright, Robert Shenkkan, presents a riveting story that delivers a message of how “when personal accountability is denied, what seems inconceivable becomes inevitable.” For more information call (803) 254-9732 ext. 1 or visit http://trustus.org/event/building-the-wall/. October 7 – Art Along the Trail at Riverfront Park. This will be a day filled with visual and performing arts along the Canal and trail with interactive options and the chance for both children and adults to create their own piece of art using natural materials. For more information call (803) 545-3093 or visit https://www.eventbrite.com/e/art-along-the-trail-tickets-38089233924. October 7 – Preservation Workshop: Do’s and Don’ts of Historic Home Renovation at the Seibels House on Richland Street. This presentation and discussion will offer attendees the opportunity to learn how to “plan, outlines, and manage home renovations, and will get to view some of the renovations that have taken place over the years at the Seibels House. For more information call (803) 252-1770 ext. 23 or visit http://www.historiccolumbia.org/events/preservation-workshop-do%E2%80%99s-and-don%E2%80%99ts-of-historic-home-renovation. October 7 – Collard and Barbecue Festival at the Gaston Civic Center in Gaston. Come out for a day filled with fun and great food! For more information call (803) 796-7725 or visit https://www.eventbrite.com/e/gaston-collard-barbeque-festival-tickets-38084434569. October 7 – “Before You Say I Do” at the Township Auditorium. Dr. Adele Masters is a world renowned couple’s therapist who will help you determine if you know enough about your partner to make a permanent commitment through marriage. For more information call (803) 576-2350 or visit http://www.thetownship.org/events/. October 7 – Laser Tag at Seven Oaks Park. Enjoy some time playing laser tag, and the event will be indoors, so the rain shouldn’t stop you from coming out to play! For more information call (803) 772-3336 or visit http://www.icrc.net/laser-tag-at-seven-oaks-park-2017-10-07. October 7 – Soggy Doggy Day at Saluda Shoals Park. Bring your dog out for a day of playing in the water with a fenced in version of the Splash Pad. For more information call (803) 731-5208 or visit http://www.icrc.net/soggy-doggy-day-2017-10-07. October 7 – Fallen Firemen 5K at the Lexington County Baseball Stadium. This 5K run and/or walk is to benefit the Jeffery Vaden Chavis House at the Burn Center at Doctors Hospital in Augusta. For more information visit http://fallenfiremen5k.com/about/. October 7 – Midlands Monthly Gospel Singing at the Midland Gospel Singing Center in Gilbert. This evenings singing event will be preceded by a cube steak dinner fundraiser, followed by music by Jordan River and The Glorymen. For more information call (803) 719-1289 or visit https://www.midgsc.com/. October 7 – 8 – Congaree Bluegrass Festival at the Historic Columbia Speedway in Cayce. Enjoy a weekend filled with top named bluegrass bands, such as Sugarloaf Mountain Boys and The Crowe Brothers, and gospel bluegrass on Sunday, with plenty of activities for the kids, food, beverages, and a weekend filled with fun! For more information call (803) 550-9520 or visit http://www.cityofcayce-sc.gov/cbf/. October 9 – “The House I Live In: Criminal Justice and Mass Incarceration” at the Nickelodeon Theater. This investigation into the criminal justice system presents the economically, socially, and culturally devastating impact of “The War on Drugs” and its connection to American racism and economic disparity. For more information call (803) 254-8234 or visit http://nickelodeon.org/films/the-house-i-live-in-criminal-justice-and-mass-incarceration/. October 10 – Community Litany for Healing of the Nations at the Icehouse Amphitheater. This will be an evening of unity, prayer, music and candlelight. For more information call (803) 358-7275 or visit http://icehouseamphitheater.com/events/. October 10 – Grilling Class with Kristian Niemi at City Roots. This wonderful chef will teach you some grilling techniques using chicken and vegetables. For more information call (803) 254-2302 or visit http://www.cityroots.org/events-calendar/2017/10/10/grilling-class-with-kristian-niemi. October 11 – “In Between (Bar Bahar)” at the Nickelodeon Theater. Three girls with different lifestyles move into an apartment in Tel Aviv and in spite of their differences “find themselves balancing tradition and modernity, citizenship and culture, fealty and freedom.” For more information call (803) 254-8234 or visit http://nickelodeon.org/films/in-between-bar-bahar/. 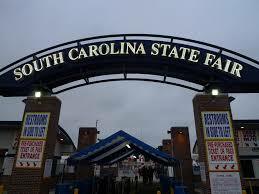 October 11 – 22 – South Carolina State Fair at the State Fairgrounds. Here is a chance to enjoy the fabulous fall weather with run amusement rides, lots of exhibits, agricultural shows (take a camel ride or see the singing chicken show), fun foods, and live entertainment, to include ZZ Top, Tobymac, and Keith Sweat. For more information call (803) 799-3387 or visit http://www.scstatefair.org/?utm_source=google&utm_medium=cpc&utm_term=branded. You can also learn more about the history of the State Fair by visiting http://www.sciway.net/sc-photos/richland-county/sc-state-fair.html. October 12 – “Finesse” at the Icehouse Amphitheater. Enjoy a fall evening out with fun live entertainment by this band that is a blend of Motown, R&B and soul. For more information call (803) 358-7275 or visit http://icehouseamphitheater.com/events/. October 12 – Vista After Five: “Matt Stillwell” outdoors at the Music Farm in the Vista. Hailing from the mountains of North Carolina, This country star will make for a great outdoor concert so don’t miss out on an evening of great fun! For more information visit http://www.musicfarm.com/event/1555590-vista-after-five-matt-columbia/. October 12 – “Thomas Rhett” at the Colonial Life Arena. This great new country star will provide you with a wonderful evening of fun and country music! For more information call (803) 576-9200 or visit https://www.coloniallifearena.com/thomas-rhett.php?eventid=136. October 12 – Spirits Alive! At Elmwood Cemetery. Take a walk by moonlight through the cemetery by a costumed guide and learn about some of Columbia’s creepy past followed by Halloween related activities and snacks. For more information call (803) 252-1770 ext. 23 or visit http://www.historiccolumbia.org/events/spirits-alive. October 13 – “The Mantras” with “The Get Right Band” at the Music Farm. Spend a Friday night enjoying some good rock music has a little bit of blues, reggae, and funk! For more information visit http://www.musicfarm.com/event/1508319-mantras-columbia/. October 13 – “Imagine Ballet Rocks” at the Koger Center for the Arts. The Columbia Classical Ballet brings you another great performance you won’t want to miss! For more information call (803) 777-7500 or visit http://www.kogercenterforthearts.com/event.php?id=441. October 13 – Midnight Masquerade at the Marriott in downtown. Come dressed to impress including a mask for a night of great fun with hor d’ oeuvres, beverages, dancing with DJ Shelly, great silent auction items to start your holiday shopping, a photo booth, ending the night with food, drinks, and entertainment, all to benefit local veterans with PTSD. For more information visit http://www.brownpapertickets.com/event/3090118. October 13 – 14 – “Deon Cole” at the Comedy House. Having played a role on several comedy shows, and will host the game show “Face Value”, as well as being nominated for an Emmy for his script writing, he will provide you with an evening of laughter! For more information call (803) 798-9898 or visit https://comedyhouse.us/deon-cole/. October 13 – 15 – “Monterey Square” at the On Production Performance Center in Lexington. This is an original two-act play written and directed by MonaLisa Botts, so come on out and support this new production. For more information call (803) 351-6751 or visit http://www.onstagesc.com/Shows.html. October 13 – 31 – Gilbert House of Terror on Harley Taylor Road in Gilbert. Open Friday and Saturday and the weekend before Halloween also Sunday and Halloween Day. Come out and see if this is one of the scariest events you’ve ever attended with all proceeds to benefit non-profits in the Gilbert area. For more information call (803) 892-5396 or visit http://www.gilberthouseofterror.com/. October 14 – “Dirty Dancing” at the Nickelodeon Theater. This wonderfully romantic movie with wonderful dancing is one you always want to see again and again. For more information call (803) 254-8234 or visit http://nickelodeon.org/films/dirty-dancing/. October 14 – Adult Garden Workshop: Herbal Remedies at the Riverbanks Zoo and Gardens. Learn the art of making salves, tinctures, and teas from herbs grown in the garden. For more information call (803) 779-8717 or visit https://www.riverbanks.org/calendar. October 14 – Hyperglow! Lights Out! with DJ 4B at the Music Farm. This is one of Americas largest glow parties so don’t miss out the dance party fun! For more information visit http://www.musicfarm.com/event/1535592-hyperglow-lights-out-2017-columbia/. October 14 – “Beethoven & Blue Jeans” at the Koger Center for the Arts. The South Carolina Philharmonic presents a wonderful performance with Marina Lomazov playing Beethoven’s Piano Concert #4. For more information call (803) 777-7500 or visit http://www.kogercenterforthearts.com/event.php?id=463. October 14 – Walk for Life & Famously Pink Half Marathon, 10K, & 5K at Spirit Communications Park. Come out and help beat breast cancer with proceeds to help with the purchase of a 3D mammography unit for the Palmetto Health Breast Cancer Center. For more information call (803) 434-2498 or visit http://events.palmettohealthfoundation.org/site/TR/Events/TR/Events/General?fr_id=1120&pg=entry. October 14 – Lexington Craft Beerfest at the Icehouse Amphitheater. Fill your evening with regional craft beer tasting and great restaurant bites with live entertainment by Fantasy. For more information call (803) 359-6113 or visit http://www.lexingtonsc.org/chamber-event/2017-lexington-craft-beerfest. October 15 – Canal History Tour at Riverfront Park South at the Red Schoolhouse. Take a guided tour along the canal and learn the part it has played in Columbia for the last 200 years. For more information call (803) 545-3100 or visit http://www.columbiasc.gov/parks-recreation/programs-activities/outdoor. October 16 – “To Kill a Mockingbird: The Arc of Justice: The Law and Civil Rights” at the Nickelodeon Theater. Come watch this amazingly moving production based on the Pulitzer Prize winning novel, then engage in the discussion with Luther Battiste, III and Melissa Burnette, both attorneys, following the film. For more information call (803) 254-8234 or visit http://nickelodeon.org/films/to-kill-a-mockingbird-the-arc-of-justice-the-law-and-civil-rights/. October 17 – “Foo Fighters: Concrete and Gold Tour” at the Colonial Life Arena. Come out and enjoy an evening of some great rock and roll! For more information call (803) 576-9200 or visit https://www.coloniallifearena.com/foo-fighters.php?eventid=142. October 18 – “Torch Song Trilogy” at the Nickelodeon Theater. This showing is hosted by Famously Hot South Carolina Pride and is based on the Tony Award winning play about the life of a torch singer and drag queen. For more information call (803) 254-8234 or visit http://nickelodeon.org/films/torch-song-trilogy/. October 18 – 22 – “Spank Brown” at the Comedy House. Always a favorite on the comedy track, you will certainly enjoy this amazingly funny comedian! For more information call (803) 798-9898 or visit https://comedyhouse.us/spanky-brown/. October 19 – “Root Doctors” at the Icehouse Amphitheater. Come out for a night of fun with one of the areas favorite bands! For more information call (803) 358-7275 or visit http://icehouseamphitheater.com/events/. October 19 – “The Broken Crowns Tour featuring Matisyahu” with “Common Kings” at the Music Farm. These two bands will definitely create an enjoyable evening to prepare you for the end of your week! For more information visit http://www.musicfarm.com/event/1518304-broken-crowns-tour-matisyahu-columbia/. October 19 – “Finesse Band” at the Township Auditorium Loading Dock. It’s time for those outdoor concerts again so wind down your week with some fun after work! For more information call (803) 576-2350 or visit http://www.thetownship.org/events/. October 19 – Bluegrass, Bidding, and BBQ at the Robert Mills House. Enjoy an evening of music by the Mustache Brothers”, great barbecue, and tremendous silent auction items to bid on, all to raise money for the Palladium Society, a group of young professionals who help support the mission of Historic Columbia through educational, social, and fundraising activities. For more information call (803) 252-1770 ext. 15 or visit http://www.historiccolumbia.org/bbq. 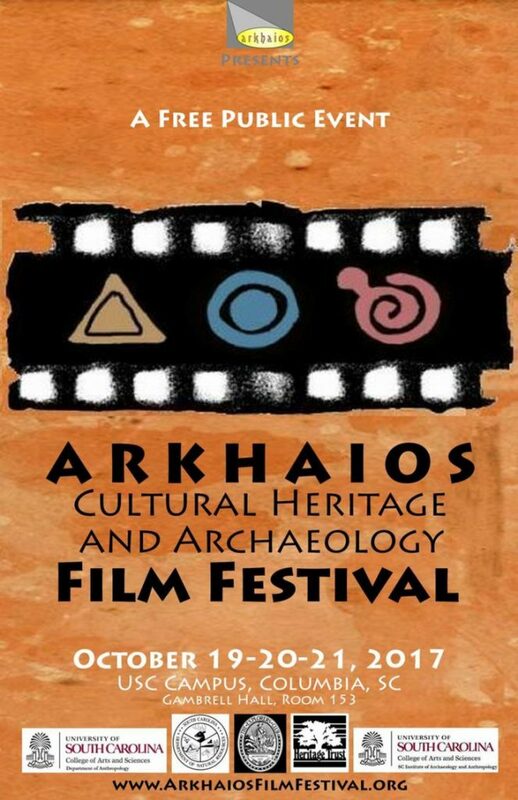 October 19 – 21 – Arkhaios Cultural and Archaeological Film Festival at Gambrell Hall on the University of South Carolina Campus. Being only one of two location in the United States being offered, this awesome event will showcase past cultures as gained through research and hopefully trigger the interest of other regional filmmakers so come out and support this event! For more information call (843) 298-1638 or visit http://www.arkhaiosfilmfestival.org/. October 19 – 22 – “Little Shop of Horrors” at the Columbia Children’s Theatre. Performed by some of the best 7th through 12th grade actors, you’ll enjoy this fun Broadway and Hollywood favorite sci-fi musical that’s been grabbing hearts for 30 years so don’t miss this chance to enjoy this terrific show and support our local young actors. For more information call (803) 691-4548 or visit http://www.columbiachildrenstheatre.com/little-shop-of-horrors/. October 20 – Waterfall Junction Family on Safari: Wild Survival 101 at the Riverbanks Zoo and Gardens. You’ll have the chance to learn the art of purifying water, identifying edible plants, and much more at this overnight event with 4 person tents and sleeping mats provided. For more information call (803) 799-8717 or visit https://www.riverbanks.org/calendar. October 20 – “Can’t Grow Beards” Comedy Night at the Tapp’s Art Center. Natasha Ferrier and Donnie Marsh will certainly create a night of fun and laughter to get your weekend off to a roaring start! For more information call (803) 988-0013 or visit https://www.tappsartscenter.com/event/soda-city-stand-up-presents-cant-grow-beards-comedy-night/. October 20 – “Spoon” with guest “Mondo Cozmo” at the Music Farm. Both of these bands will make for a great evening of live entertainment and will have you dancing where you stand! For more information visit http://www.musicfarm.com/event/1456149-spoon-columbia/. October 20 – 21 – South Carolina Pride Festival and Parade in downtown Columbia. The starting of this event will be a parade on Friday night with live entertainment by Lil’ Kim followed by a Saturday filled with live entertainment and dancing, to include artists such as Jody Watley, Alissah Brooks, as well as RuPaul’s Drag Races. For more information visit https://scpride.org/. October 20 – 30 – BOO at the Zoo at the Riverbanks Zoo and Gardens. One of the areas favorite events, you’ll have a chance to see the Zoo filled with amazingly fun Halloween displays and events, but tickets are limited so don’t delay in purchasing yours as last year’s event sold out early! For more information call (803) 779-8717 or visit https://www.riverbanks.org/events/boo-at-the-zoo.shtml. October 21 – “The Decline of Western Civilization Part 1” at the Nickelodeon Theater. This is a punk film presenting a portrait of Los Angeles punk scene. For more information call (803) 254-8234 or visit http://nickelodeon.org/films/the-decline-of-western-civilization-part-i/. October 21 – Free Rain Barrel and Workshop for Columbia City Residents at Riverfront Park South at the Red Schoolhouse. Reservations are required and attendance at the workshop is required in order to receive your free rain barrel. For more information call (803) 545-3100 or visit http://www.columbiasc.gov/parks-recreation/programs-activities/outdoor. October 21 – “Romeo and Juliet” and “The Commedia Pinocchio” at the Saluda Shoals Park. Both performances will be performances like you have never seen before, so bring out the kids and enjoy this fun late afternoon event with the entire family! This double feature will be presented by the Columbia Children’s Theater For more information call (803) 731-5208 or visit http://www.icrc.net/romeo-and-juliet-and-pinocchio–columbia-childrens-theatre-2017-10-21. October 21 – Tabitha Ott presents “FRESH PLASTIC” at the Tapp’s Art Center. This runway event will include one of a kind wearable designs created by this talented metalsmith and jewelry maker and will include three local clothing brands, with the show followed by a dance party of three traveling DJ’s. For more information call (803) 988-0013 or visit https://www.tappsartscenter.com/event/tabitha-ott-presents-fresh-plastic/. October 21 – “Jump Little Children” with “Stop Light Observation” and “She Returns from War” at the Music Farm. All three bands from Charleston will create an evening of thoughtful and entertaining music creating a variety that will keep you guessing what will come next! For more information visit http://www.musicfarm.com/event/1502956-jump-little-children-columbia/. October 21 – Holiday Showcase and Food Truck Party at the Leesville United Methodist Church in Batesburg-Leesville. Come out and enjoy over 20 craft, variety, and food truck vendors. For more information call (843) 298-3817. October 21 – Fur Ball Moonlight Gala at the Columbia Metropolitan Convention Center. You’ll enjoy a cocktail reception, dinner, a live and silent auction, raffles and more for an evening of great fun to benefit Pawmetto Lifeline. For more information call (803) 465-9150 or visit http://www.pawmettolifeline.org/events/calendar/2017/10/21/furball2017/. October 21 – Chili Cook-Off in Five Points. Here is a chance to sample a variety of different homemade chili while enjoying a day filled with live entertainment, to include DJ Logic and Slim Pickens just to name a few. For more information call (803) 748-7373 or visit http://www.fivepointscolumbia.com/events/Chili-Cook-Off. October 21 – Walk to End Alzheimer’s at Spirit Communications Park. Come out and help raise funds and awareness of this terrible disease that devastates not only those with the disease, but the entire family! For more information call (803) 509-7352 or visit http://act.alz.org/site/TR/Walk2017/SC-SouthCarolina?fr_id=10095&pg=entry. October 21 – Ray Tanner Home Run at the University of South Carolina Baseball Stadium. This event includes a 12K run, a 5Krun/walk, a 1 mile run/walk, and a kids fun run all to benefit the Ray Tanner foundation. For more information visit http://www.raytannerfoundation.org/home-run.html. October 22 – Pops: “British Invasion” at the Harbison Theater. This concert will include all of the best music from Britain including composers and hit makers. For more information call (803) 407-5011 or visit https://www.harbisontheatre.org/tickets-productions/pops-british-invasion. October 22 – Columbia’s Buddy Walk at Saluda Shoals Athletic Complex. This is a 1.5 mile walk to help raise awareness, promote acceptance, and inclusion of individuals with Down Syndrome. For more information call (800) 578-8750 or visit https://www.familyconnectionsc.org/event/columbia-buddy-walk/. October 22 – Out of the Darkness Community Walk at the Boyd Plaza and the State House. This event is to raise awareness of suicide, remember those lives lost, and create hopefulness for those who struggle. For more information call (864) 421-3163 or visit https://afsp.donordrive.com/index.cfm?fuseaction=donorDrive.event&eventID=4865. October 23 – “Restless Creature: Wendy Whelan” at the Nickelodeon Theater. This is a story of one of the world’s greatest ballerinas. For more information call (803) 254-8234 or visit http://nickelodeon.org/films/restless-creature-wendy-whelan/. October 24 – “New Found Glory” with guest “Roam” at the Music Farm. Celebrating 20 years of pop punk, this will be an energetic and fun evening of music! For more information visit http://www.musicfarm.com/event/1493201-new-found-glory-columbia/.